How to Convert MP4 to Play on PS4? Have you ever wanted to watch mp4 files on ps4 without any obstacles? As a home video game console, ps4 now becomes a hot topic since the Sony products gain more and more attention. Mark, a guy who has recently bought a PS4 encountered a problem — “I read the manual and learned PS4 supports most file types including MP4, I’m just confused why my PS4 refuse to play MP4 files.” In order to make the topic more clearly, I changed his statement into “How to play mp4 file on ps4?” This article aims at clearing up his confusion of playing mp4 on ps4 by using two or three video converters. To start the essay it’s necessary for us to have a general idea of what ps4 is and its supported formats. Sony PlayStation 4 (abbreviated to ps4) is a line of home video consoles developed by Sony Interactive Entertainment, which is part of the eighth generation of video game consoles according to Wikipedia. It is a device that mainly designed for playing games but also supports some other file types such as Blu-ray disc playback, 3D functionality and DVD playback. Besides, video and audio files on ps4 can be streamed from USB storage devices and media servers using the Media Player app. And the PS4’s Media Player claims that it supports MP4 files format over both wi-fi (DLNA) and USB. However, sometimes you may find your MP4 files can’t be played on PS4. Why? That’s because MP4 files are encoded with different audio and video codecs. And actually PS4 only supports playing MP4 files encoded with H.264/MPEG-4 AVC High Profile (AAC LC). It means that if the MP4 video is not encoded with PS4 compatible codec, you are unable to play MP4 on PS4 even if successfully transferred MP4 to PS4. In this case, using a converter to convert mp4 to ps4 compatible format might enable you to play mp4 on ps4. Leawo Video Converter could be an ideal converter you need. It is remarked as a high definition video converter designed to convert common and HD videos to many popular formats like AVCHD to AVI, MOD to AVI, MTS to AVI, MTS to MOV, M2TS to AVI, M2TS to MKV, M2TS to MP4.etc with zero quality loss on different portable devices such as Apple, Sony and SamSung .etc. I will show you the step-step guide on how to convert mp4 to ps4 supported mp4 to play mp4 on ps4. First you need to download and install Leawo Video Converter on computer. Step 1. After installation, launch Leawo Video Converter. 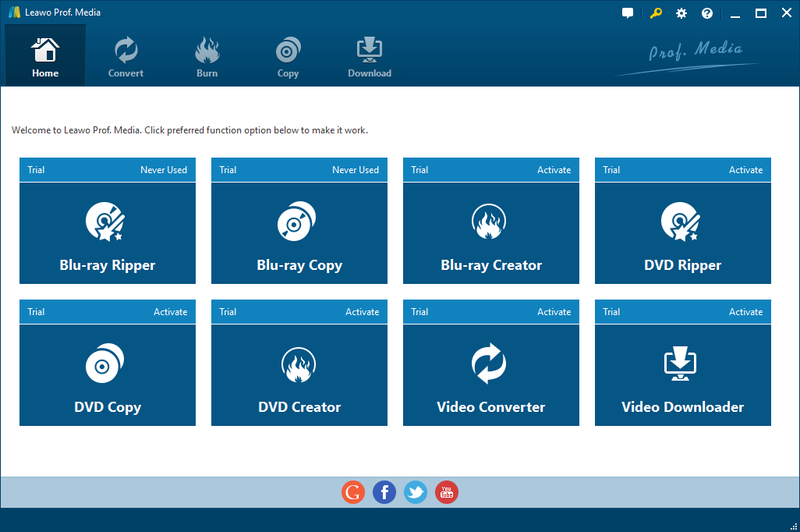 You can view the software has 8 sections such as DVD, Blu-ray for you to choose. Step 2. Choose the “Convert” option. Import a file with mp4 format by click “Add Video” button or you can just drag & drop the file into the target section. Step 3. Click the “MP4 Video” button on the left side of Convert (green color) to set the details of your output video. You can click “Edit” to edit your video codec, resolution and other options. Click “Change” to select your video format or compatible device. Here you need to click “PS4″ under the “Sony” button from “Apple, Sony, Samsung.etc” category. Click “Profile” to go back to the previous screen. Step 4. Locate your destination folder and click “Convert” button to start MP4 to PS4 conversion. Make sure you have activated or purchased the software if you want to use it without any obstacles. You can see the conversion process goes smoothly before all things are done. After a few minutes you will see your output file in your destination folder. Now you have resolved ps4 mp4 playback issue and your mp4 file is supposed to be streamed from USB storage devices or other media players. 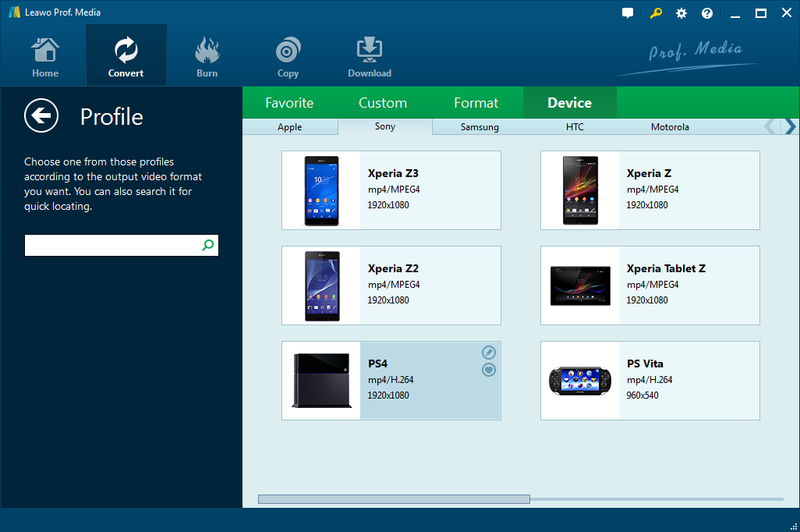 Any Video Converter Ultimate is also regarded as a useful MP4 to PS4 Converter that is able to convert MP4 to play on PS4 effectively. It is another choice for users. You can give it a try by following the simple steps. Step 1. download Any Video Converter Ultimate and install on your windows or Mac system computer, then run it. Step 2. 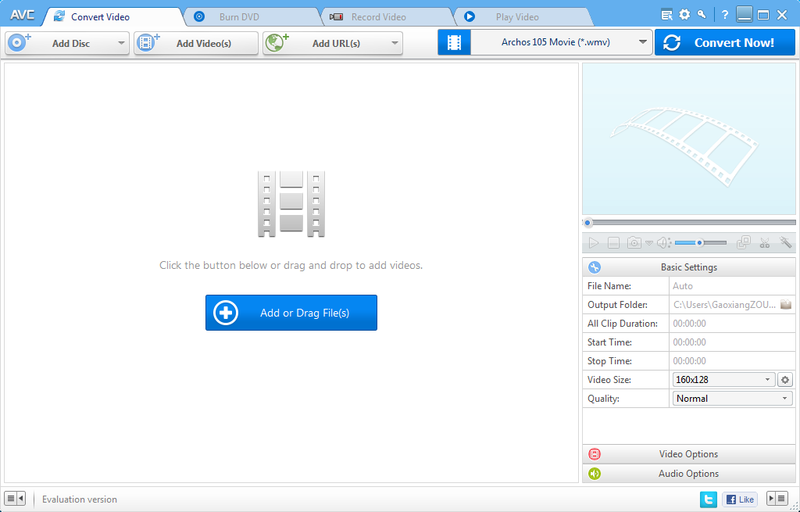 Insert the original file by clicking” Add Video” or drag and drop the file, it’s same as Leawo Video Converter. Step 4. Click “Convert Now” to start converting mp4 to ps4. During the process of conversion, I found the conversion speed of Leawo Video Converter is much faster than Any Video Converter. Conclusion: Leawo Video Converter and Any Video Converter are alike in some ways but here are some parts I must point out. 1. Leawo Video Converter has a much faster speed while the latter doesn’t have. 2. Leawo Video Converter comes with built-in 3D function but Any Video Converter doesn’t have. 4. Leawo Video Converter needs half the price compared to the latter. Therefore, as far as I am concerned, Leawo Video Converter is more cost-effective.